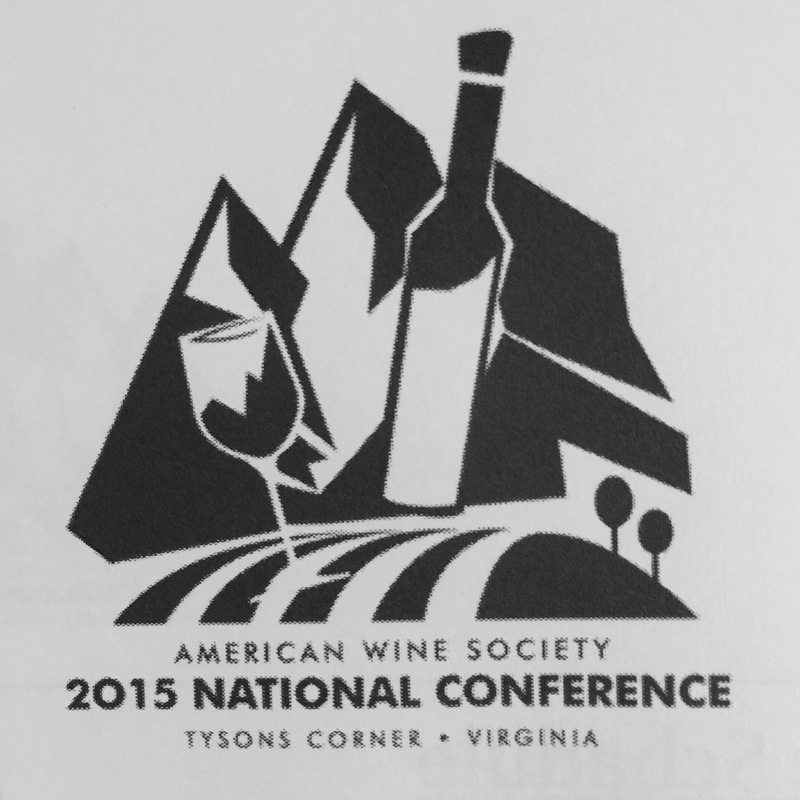 The American Wine Society 2015 National Meeting concluded Sunday and a new week has begun. The AWS 2015 conference was the first national meeting we attended. We weren’t sure what to expect but we were pleasantly surprised! The conference started Thursday evening with the first timers reception and the grand showcase of Virginia Wines. The following two days were filled with educational sessions, wine tastings, and a lot of fun. With over 40 sessions in the catalog, we weren’t sure which ones were the best. Sessions ranged from the introductory 75-Minute Wine Expert to the more casual Rat Pack Wine Challenge. While our personal preference was to learn more about wines, specifically Virginia wines and other lesser-known regions, we made our selections very carefully. We ended up selecting 3 sessions on the Virginia wine regions (tasting several samples), 2 sessions on lesser known wine regions (one featuring Texas!) and a course on the different rankings of the German Pradikat system (used for grading the quality of Riesling). All of the sessions we selected were very well done. We learned a lot about the different regions of Virginia, tasting how different vineyard sites can produce drastically different wines from the same grapes. We also had a great tasting of the famous Octagon red blend from Barboursville starting with the 2012 vintage all the way back to the 2001 vintage. The purpose was to show how weather impacts vintage variation in a fairly standard red blend. Another highlight of the event was a session that all participants attended: Union des Grands Crus de Bordeaux – a tasting of 7 exceptional wines from some of the best known Grands Crus wines of Bordeaux. Our favorites from that session were the 2012 Château Lagrange from Saint-Julien and the 2012 Château Villemaurine from Saint-Emilion. The Lagrange was the favorite among the group as well, with its elegant black cherry nose and flavors of steeped plums and a lingering finish. It was the only wine of the tasting where you could easily differentiate between the start, middle, and finish of the wine, with each phase transforming into the next. While we had fun over the course of the entire conference, there were a few parts that we would change. The individual sessions were excellent (we wish we could have done more than the 7) and the evening hospitality sessions were amusing, the other parts of the conference just seemed a little on the odd side. It is definitely worth doing at least once (we actually met people who have gone consecutively for the past 20 years), and you definitely get your money’s worth. Our advice for anyone who is considering going next year, you should do your research about which courses you plan to take, make your preferred list, and then make a back up list. Courses fill up quickly and on-going challenges with registration often leaves people scrambling at the last-minute to figure our which session they want as an alternate. When you get there, prepare for more spontaneous social events during your down-time and not pre-determined mixers. One thing that caught us off guard was the amount of time between sessions. On the paper it didn’t seem like much, but there was a lot of walking around and scoping out the different rooms, hoping there would be a sample of something unexpected. Also, don’t be afraid to make friends. The people we met and the connections we made were definitely something that will last longer than the conference itself. We were probably the youngest in the crowd, but that didn’t matter much. The uniting factor of everyone there was the love of wine and the drive to share their knowledge and passion with others around them.